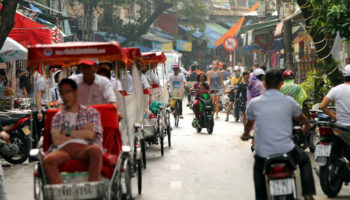 If you visit Vietnam, there is a good chance your trip will revolve around the capital city of Hanoi. 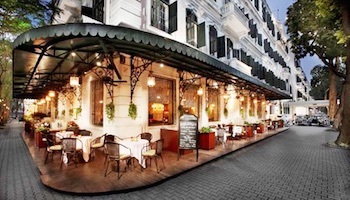 Combining French cultural influences with Vietnamese cuisine and heritage, Hanoi is a melting pot full of incredible attractions. 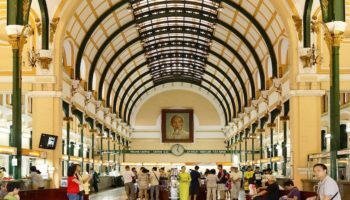 The Ho Chi Minh Mausoleum and Ho Chi Minh Museum are big landmarks you won’t want to miss, but Hanoi also offers local flavor courtesy of stunning temples, puppet theaters and countless outdoor markets. 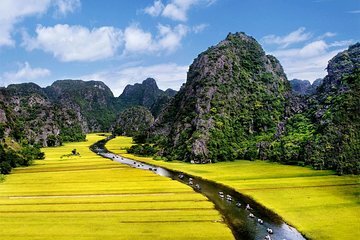 To truly experience the best of northern Vietnam, head outside of the city with one or more of these wonderful day trip from Hanoi. The district of Mai Chau is located 150 km (95 miles) southwest of Hanoi, and it is a mountainous region with plenty of verdant landscapes and towering mountains. While the scenery of green rice paddies and emerald mountains is certainly a big draw, Mai Chau is also worth a visit because it is home to seven ethnic minority groups. Mai Chau also boasts lots of stilt houses made from bamboo, and underneath them it is not unusual to see cows or chickens avoiding the rain. Prepare for a day of agricultural beauty, water buffaloes strolling among the homes and a diverse, welcoming population you’ll never forget. 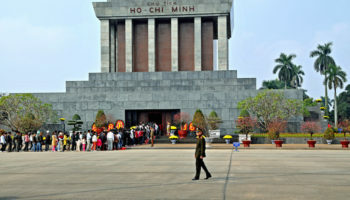 Approximately 100 km (60 miles) directly south of Hanoi is Hoa Lu. Hoa Lu is the ancient capital of Vietnam. 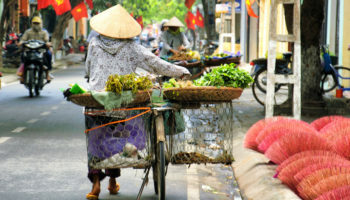 In the 10th and 11th centuries, Hoa Lu was the hub of politics and trade in the country, and it is still a major destination for enthusiasts of history or Vietnamese culture. The original citadel and its walls no longer stand, but the stunning archways to the city are still visible. Also standing in Hoa Lu are several impressive and culturally significant temples, including Le Dai Hanh, Dinh Tien Hoang and Naht Tru. You can also join a tour of Thiên Tôn Cave, one chamber of which is entirely devoted to the worship of Buddha. 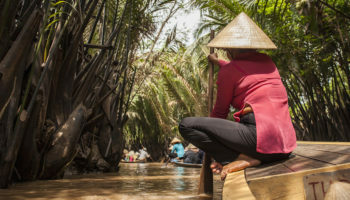 Just 25 km (15 miles) outside of Hanoi, on the other side of the Red River, is Bat Trang. This is a small village, but it boasts a long and impressive history. The village itself is ancient, dating back more than 1,000 years, and it is known for its ceramics. The ceramic industry at Bat Trang has always been strong, and in the past the village supplied pottery to the Ming Dynasty and even exported goods during the French colonial period. Today, visitors to the Bat Trang Ceramic Village can watch ceramic masters at work, and it is the ultimate place to shop for truly local, handcrafted souvenirs. The name Perfume Pagoda starts to make sense when you learn that it is located in the cliffs of the Huong Tich Mountain, or the Mountain of Fragrant Traces. About 45 miles southwest of Hanoi, the Perfume Pagoda is not easily accessible. 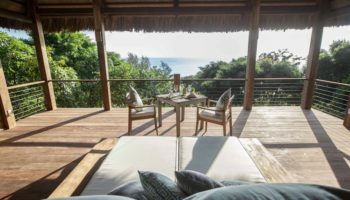 The journey will involve a car or bus ride, a boat ride and then either a short hike or a ride in a cable car. Once you arrive, however, you will be treated to incredible pagodas and shrines built right into the sides of the mountain. The Pagoda Leading to Heaven, or Thien Chu, is one of the most famous sites worth exploring on your visit. The scenery of Tam Coc is the first thing you’ll notice. 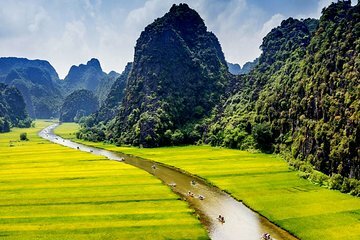 Limestone cliffs poke up from rice paddies, and the river winds through bright green landscapes. The region is is effectively a miniature landlocked version of Ha Long Bay. Although Tam Coc is just 90 minutes south of Hanoi, it can feel as though it is a world away from the hustle and bustle of the city. 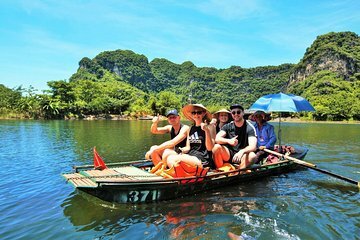 In Tam Coc, a boat ride is the best way to get around, so join a sampan tour for epic views. 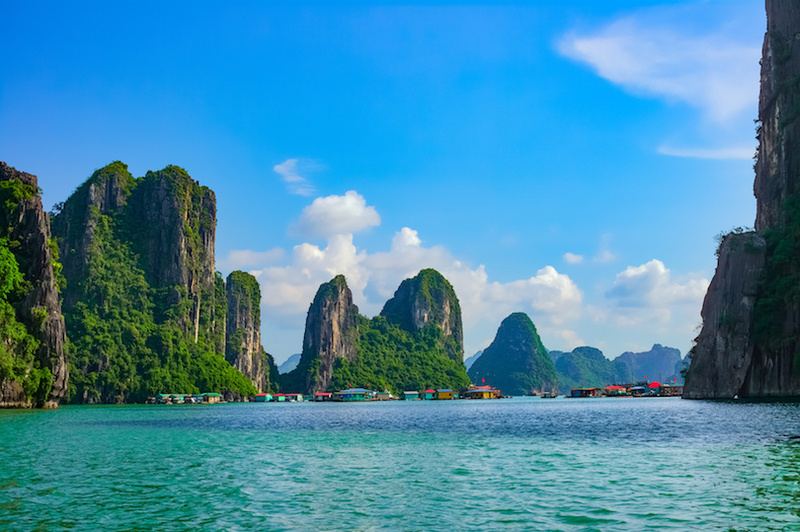 Tam Coc is named for its three major caves, which you can sail through in a sampan if you’re feeling brave. Arguably one of the most incredible destinations in all of Vietnam is Halong Bay. 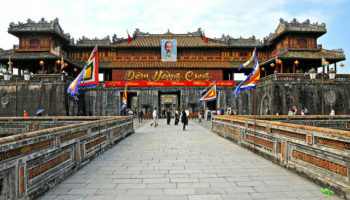 Although it is over 160 km (100 miles) east of Hanoi, it is definitely worth the journey. 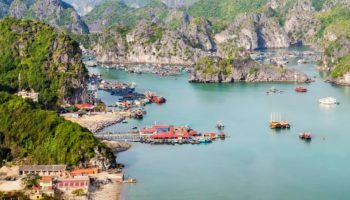 Halong Bay is best explored by boat, and there is no shortage of day trips from Hanoi and even overnight adventures that you can have on the water. From your boat, you will be able to see not just the gorgeous waters of the bay, but also the limestone formations and forested isles that pop up out of the sea. Many tours even stop at secluded beaches and islands for an amazing picnic in truly breathtaking scenery.